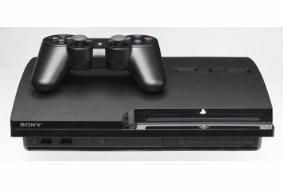 Sony offers bigger hard drives on PS3 | What Hi-Fi? The existing 250GB model will be replaced by a 320GB version which will be sold as an exclusive PlayStation Move bundle costing £284.88. From October the 120GB model will be phased out and replaced by a 160GB version which will cost £249.99, the same price as the original. Sony said the extra storage was being offered because of the increase in downloadable games and films. It was confirmed that the PlayStation Move, Sony's new motion control offering, will be released in the UK on 15 September. The motion controller will come in at £34.99, the navigation controller will cost £24.99 and a starter pack will be sold at £49.99. Earlier this week Sony also announced that ITV Player will be coming to the PS3 before the end of this year.